"I was recommended TOTS Carpentry by a friend who had been happy with his work. When he came to discuss my work his portfolio showed the wide variety and high quality of work he could actually produce. He made suggestions and asked for clarification and I felt confident that he would complete the work to my fit with my image. One of the major benefits was that Totyu is able to make the items in his workshop and then bring the prepared items to fit; minimizing disruption and mess in your own home. His work has completed the three rooms in my house. Allowing me to have storage, space, light and looking exactly like I imaged." "TOTS have been a delight to work with - the level of professionalism, the quality of customer care, the focus on the product are all second to none. Totyu combines strong creative instincts with an eye for the detail and practicalities. The finished results speak for themselves. I've worked with Toytu over several years bringing him back for wardrobes, cabinets and shelving - all have been great - and I couldn't recommend him highly enough!" "TOTS designed, built, installed and painted some AMAZING built-in wardrobes for our new home - 3m worth of storage heaven! We had some slightly odd requirements (pull out laundry basket, extra deep drawers and pull out shoe storage), which he helped design and come up with perfect solutions. The outcome is the most wonderful looking and practical wardrobes I have ever seen in my life - we absolutely love them - beyond words! TOTS himself was lovely and very professional to deal with. He delivered to a very tight time frame, arrived early/on time to all appointments, took all of his rubbish / mess with him, and was generally just a pleasure to work with! The price of the wardrobes was much better value than the high-street wardrobe companies - and a proper custom-fit design compared to what they were offering. I couldn't recommend TOTS highly enough - we will definitely be using him again (a lot!) for other storage areas in our house." "We were incredibly impressed by TOTS Carpentry and we have recommended them to all our friends and family." "We found TOTS Carpentry to be professional from start to finish. Our wardrobe was delivered on time and we were very much impressed by the attention to detail showed by Totyu, the managing director. We are delighted with our new wardrobe and would not hesitate to recommend this company. We will be using it again in the near future"
"On time, on budget, punctual, polite & a lovely job, what more could you want? I'd definitely have Totyu back & recommend him 100%!" "Totyu's was by far the best quote received because he took lots of time to understand what I wanted & helped me figure out what that was in some cases!" "Totyu's advice and experience proved invaluable. The end result far exceeded expectation and we have been very pleased with the overall effect upon the entrance and its impact on visitors (we have received a lot of enthusiastic feedback ourselves)"
"Totyu is incredibly accommodating, endlessly flexible, always incredibly polite, trustworthy & reliable. We were incredibly impressed by the quality of the craftsmanship on both occasions." "Totyu was an exemplary workman. He arrived on time, was efficient and well mannered, and carried out a superb piece of work for us within the estimate." "Totyu created an entire wardrobe system, a set of floating shelving, floating bedside tables, his attention to detail is fantastic and he helps you to develop the idea and design that you bring to him, so that it's fit for purpose and within budget. I wouldn't hesitate to recommend him to others. Thanks Totyu"
"I was very impressed by Totyu's craftsmanship and the beautiful units he built for me. He is punctual and conscientious and completed all the work the highest standard. I have no hesitation in recommending him and have already commissioned him for a second project." "Totyu did an excellent job preparing and fitting my solid oak shelves. He was the only tradesman who treated the job as furniture making rather than just fixing planks to the wall. I'm so pleased with the final effect." "Totyu did an excellent job, he is reliable and also a perfectionist so his work is of the highest standard. We were charged exactly what he quoted even though the job turned out to be more work than expected." "Totyu was hired to hang a reclaimed Victorian front door. He provided me with solutions to the problems encountered. He is without doubt an excellent communicator, a perfectionist, polite and a consummate professional." "Upon commissioning a highly intricate iconographical work from TOTS i was kept in the loop on the pieces progress right from the very start. Regular photographic updates and telephone discussions involving matters of finish all helped make me feel a real part of the process. Exemplary workmanship and a perfect job. I just cannot sing his praises highly enough. Sublime!" 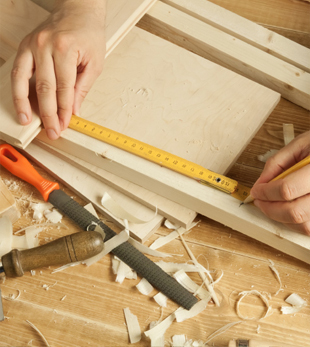 "Tots Carpentry have done work for us on several occasions. Each time the service has been the same: friendly, punctual and exceptionally helpful. Their quality of work is brilliant." Upon commissioning a highly intricate iconographical work from TOTS i was kept in the loop on the pieces progress right from the very start.